Many families use coupons for everyday family meal planning. It’s a great way to put cash right back in your pocket, while enjoying the foods you like the most. But did you know that child’s birthday party or next BBQ you hold can also be an occasion where your couponing habit can help you to keep dollars in your wallet? Start by planning out your menu. This is one of the most important things you’ll do. Don’t simply go to the store and pick out items, hoping they’ll fit your needs. When having a party most hostesses or hosts like to organize their menu in a special way. But when you coupon you also need to do this to help you save as much money as you possibly can. Collect the coupons you’ll need. For parties sometimes this takes extra effort. It is ideal if you can start your party planning a few weeks in advance so you have extra time. There may be specialty items that you want such as plastic silverware or a tablecloth and it may take a little effort to find those coupons. Use the sales cycles to your advantage. Now every couponer knows that their grocery store runs on a 8 to 12 week sales cycle. If you’ve planned your party a little in advance then you’ve got a great opportunity to hit the sales cycle at the best time for most of your items. Don’t forget to stock up on other items you’ll need for future entertaining that may be easy to keep in your pantry for a few months too! Tweak your menu if you can – when you see great bargains that guests would enjoy just as much. Now is the time to be open to possibilities. One of the best things about planning your menu is actually the ability to do something different. Sounds counterintuitive? 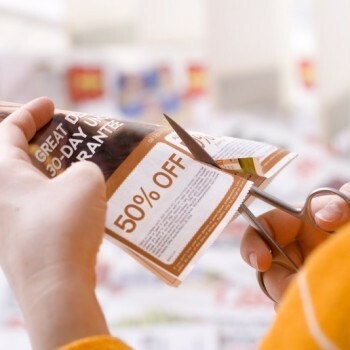 We know, but hear our logic: when you start to organize your thinking and gathering your coupons, you may realize that you have other coupons for different items that would be delicious party food. During this time you can adapt your menu so you can save as much money as possible while treating your guests to a delicious meal. Remember the value of stacking coupons. Choose a store that will let you do so. This is one of the simplest ways to save money while couponing. Your biggest challenge will be to confirm that your grocery store permits you do stack the coupons, as some of them don’t. If they do, then this is a wonderful opportunity to save even more while gathering your party items. Try not to buy those last minute items, they really can add up. Now this is one of the trickiest things about getting ready for a party. For example, you’ve got almost everything for your child’s birthday party but realize they’ve got their heart set on those “trick” birthday candles that don’t extinguish when you blow them out. Or you need more soda pop. These are the items that can really start to add up. Planning your menu and crossing things off can help. Paying attention to how large the guest list is will be of great assistance too. Enjoy the party & celebrate!